If someone high up at Samsung has a plan, we imagine it to be a single piece of paper containing just one word: CHAOS. After releasing six smartwatches in the last year, Samsung has outed a second version of its latest effort, the Gear S – but only in Japan. While the curved screened Gear S’ unique selling point is its cellular connection via a separate SIM card, a second Wi-Fi only version has been listed by a Japanese network. That means users won’t need to buy a separate cellular plan with their smartwatch, which could boost its appeal. The need for a separate plan has been a sticking point for many potential buyers, not only due to the extra cost, but the need for a different telephone number. 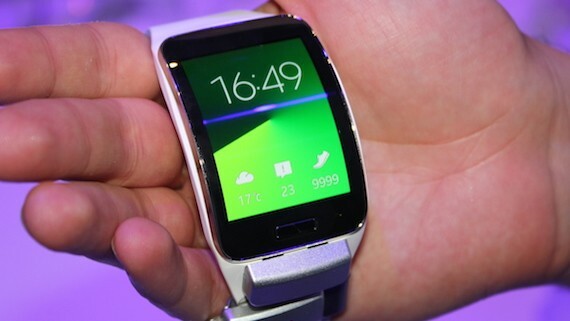 Some networks, such as O2 in the UK, have already launched sharer plans for data, but it still means your Samsung smartwatch would have a different number to your actual phone – a logistical nightmare. While the news is cause for cautious celebration – remember, there’s no confirmation that the model will be launched beyond Japan – there is a downside. The culling of the cellular features seems to have sacrificed GPS connectivity, which was one of the top features of the Gear S. Built-in GPS adds serious sports credentials, and the full-featured Gear S certainly seemed to be the smartwatch of choice for fitness fans. We’ve contacted Samsung to find out if there are any plans to release the Gear S Wi-Fi outside Japan and confirmation on the GPS features, and we’ll update the story as soon as we hear any information.